= name of slider) if you wish to quickly change the size of this acute angle. BEST WAY to use this resource is to go to the 3 dots (upper right corner) and select OPEN IN APP. 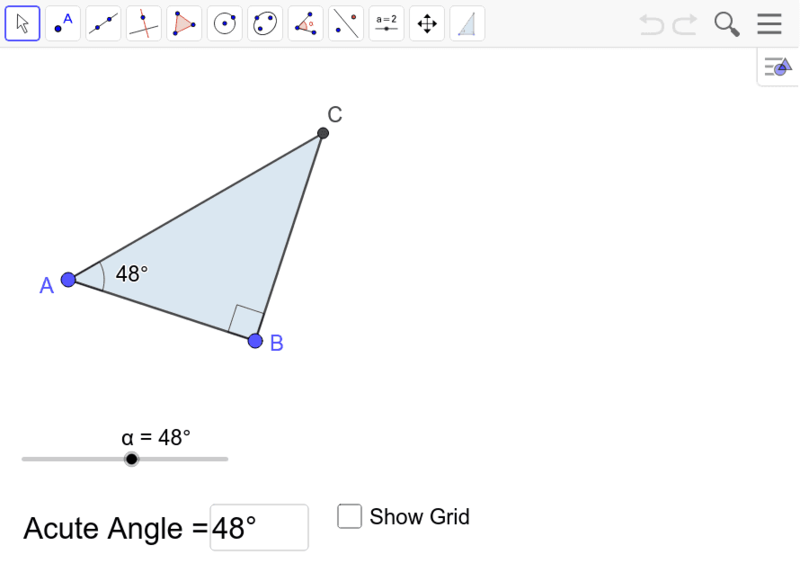 This will create a duplicate of this resource that you can freely use in the GeoGebra Classic app.